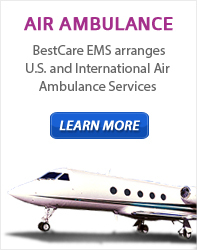 BestCare EMS – Ambulance & Air | What is an Advance Directive? An Advance Directive is a form & authorization that allows you to direct physicians to withhold or withdraw life-sustaining treatment. An Advance Directive is used when you have an illness that is an irreversible or incurable condition. An Advance Directive allows you to tell doctors and those close to you what you wish to be done should you need life sustaining treatment. If you don’t have an Advance Directive, doctors may use machines, such as respirators, to keep you alive. Decide for yourself what treatment you will and will not accept. You can change your Advance Directive at any time for any reason. Anyone 18 years or older can fill out an Advance Directive. Don’t wait until you’re sick. An Advance Directive goes into effect only when you have a terminal or irreversible illness. The Advance Directive pertains to health care decisions—not to financial matters.